I want to start this out by saying that this on Fat Kid Deals. That's where I saw this. Make sure you follow so you can keep up with the deals. They stay with so many things I must have. Ask my bank account. Anyways, who else when they were younger wanted to bring the arcade to their house? Who reading this even know what that is? You really have to ask that nowadays. Anyways, this one person at my dad's family reunion at the time had Pac-Man in his house. I thought that person was the coolest. I have the cool now. The cool is mine. Tastemakers have produced its first wave of affordable arcade cabinets called Arcade1Up, each stocked with classic games like Centipede, Asteroids, and more. Coming in at under 4-feet tall, each arcade machine comes loaded with different arcade classics in full-color and high resolution. On the main panel features the original title’s controls and button configurations. Highlighted are the cabinets add-ons, which include a stool and rise, allowing gamers to grind out those quarter-eating stages without worrying about fatigue. 5 cabinets will be available this fall, holding 3 to four different games on each machine. These cabinets include Atari‘s Centipede, which will house Centipede, Millipede, Missile Command, and Crystal Castles. 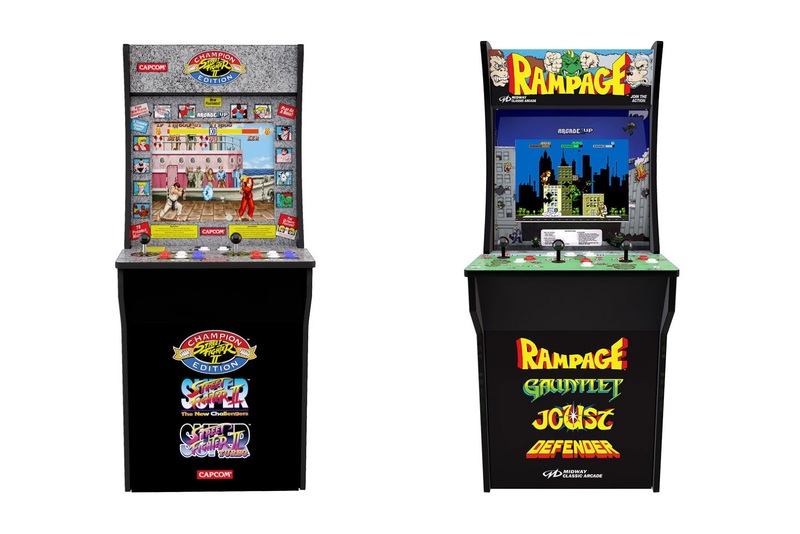 Another Midway Rampage Cabinet will feature Rampage, Defender, Joust, and Gauntlet. Lastly, is Capcom’s Street Fighter II cabinet will hold three iterations of the aforementioned titles. Pre-orders for Arcade1Up can be placed here. 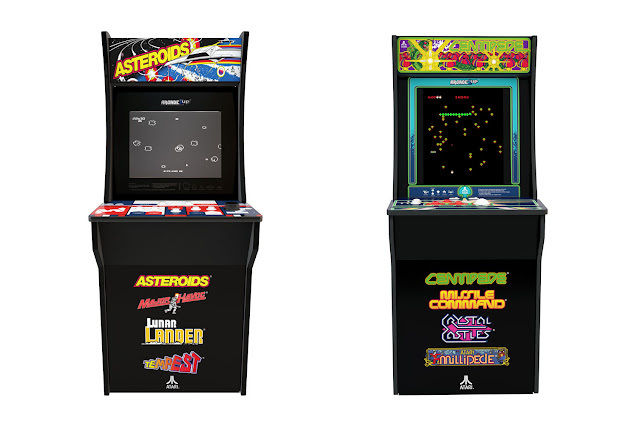 These arcade machines are slated to arrive September 25.